The light grey color and mineral content of these crystals are the results of farming under the surface of the clear blue sea directly on the clay beds of blue green algae. Sea Star is a whole food, not a processed chemical like most salt, so it retains its moisture and locks in 84 delightful trace elements and minerals. 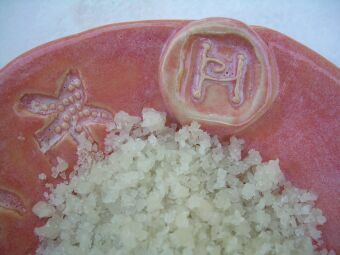 Versatile and delicious, Sea Star Light Grey Crystals can be used in place of processed salts. Whether used whole or crushed, it adds amazing flavor when cooking, or added directly to other foods. Sea Star™ Sea Salt is a treasured hostess gift or birthday gift to share with your favorite friends & family who love great food. It is a special addition to every kitchen, enhancing every ingredient it touches.